After reading your post, I got the chills too. 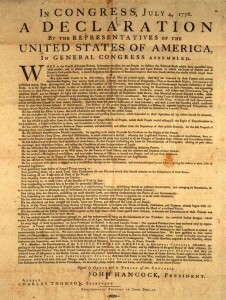 I want to read the Declaration of Independence again. Some of my best memories are when I sat with my kids and helped them study for an exam or helped with homework. I loved learning with them. I’m not big on memorizing, but when it is utilized sparsely, it can be quite effective. I still remember parts of a Julius Caeser soliloquy and Chaucer and Beowulf in Old English! That sounded like a particularly awful assignment, but Ryann nailed it (of course). I’m sure she was thankful for her mom’s support. I remember having to do something similar in 11th grade – the Olde English introduction to the Canterbury Tales (which we had to pronounce in Olde English…you wind up sounding like a drunk version of the Swedish Chef from the Muppet Show). Matt, that is hilarious! Thanks for your comment! I really like this particular blog. Very nicely written. As for your sweet daughter- I am so impressed that she didn’t want to begin memorizing until she had an understanding of it. This is a young lady who is showing a love of learning. This is huge, ( I was a teacher – 1st career) and Christna, she’s special. I can see how that would be a challenging, yet rewarding, assignment. Your daughter must have been so proud of herself that she “nailed it.” Good for her! I’m surprised you didn’t go the route I did when I had to memorize the Preamble (a requirement in Illinois, the state where I grew up). We all sang “We the People” from School House Rock. I think everyone in the class passed with flying colors. 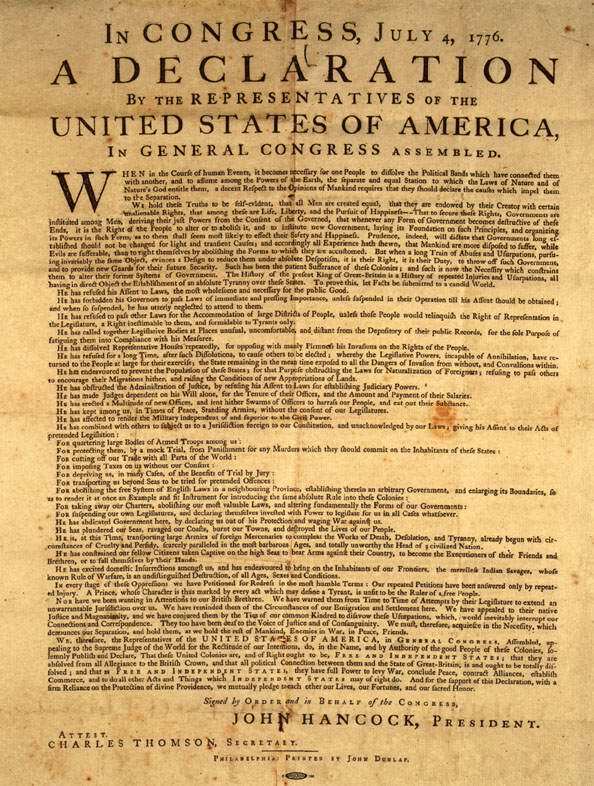 That’s the preamble to the constitution… not the Declaration of Indpendence.